The New Year is very close and many have already prepared gifts for the Christmas tree. But, as often happens, not everyone had time to do it, or simply did not come up with something to surprise. Here we will try to help. The New Year holidays, since our childhood, thanks to our fathers and mothers, seemed to us magically-chocolate, fabulously mandarin and fir-and-gift. And, becoming adults, we hope to receive a special surprise for the New Year's tree, about which we dreamed, or suddenly pleasant, which we will remember for a long time. And what is usually remembered the longest? Of course, the emotions that we experience when receiving a gift, or when using it. For those who are tired of the turmoil of days, it will be pleasant to receive a complete relaxation in a massage or SPA salon, a cloud of steam in a hammam, smeared with chocolate, feel inside a fruit salad, get a massage with stones or bags. Yes, you never know what you can think of! In any case, it will be nice and useful. And those who always lack extreme, parachute jump, flying in a wind tunnel or as a pilot in an airplane, extreme driving in an off-road car or on a pitbike will be a bright and memorable gift. Those who do not have enough romance will simply have an unforgettable opportunity to ride a horse or fly in a hot air balloon, just feel the summer in the winter in the water park or go on a weekend with your loved one. To add romance in such a surprise for the girl, ask Santa Claus and the Snow Maiden beforehand to bring these insubstantial gifts packed in a large box of flowers. And that the flowers do not freeze on the road from Veliky Ustyug, order them to the delivery specialists of flowers Kiev. Fans of cultural recreation will be pleased with tickets for a play or a concert, literary readings or an evening of jazz music. And neposedam will always be interesting to go for a couple of days in medieval Ukraine or take a walk with a tour of Kiev, learn the secrets and secrets of our ancient city, try making caramels with your own hands, to visit the museum at night or jump on the trampoline. You can come up with many more surprises, from which it will be joyful and fun. If you are a supporter of everyday gifts that you can touch and apply in life, still try to put your feelings in them and take into account the possible preferences and wishes of the person to whom the gift will be designed. And it is not necessary that the gift be super-expensive. You can even make it yourself. The main thing is that it should come in handy, so that when used awakens pleasant memories. For the New Year it is better to give gifts for personal use, rather than household utensils or items of common use. Warm scarves and mittens, funny socks and funny hats. Small boxes for small things and solid boxes for valuables. USB flash drives and headphones. Portable table for laptop and a cover for the phone. Navigator in the car and e-book. A warm plaid or a set of different kinds of tea and sweets. Easel and paint or camera. Favorite aroma or jewelry. This list can be continued indefinitely. Try it yourself! Who knows, maybe your loved one will be just delighted with the car or helicopter on the remote control, and the beloved girl wants to get a fluffy chinchilla or a rabbit as a gift. Become a little wizards, and the New Year will turn into a fairy tale! 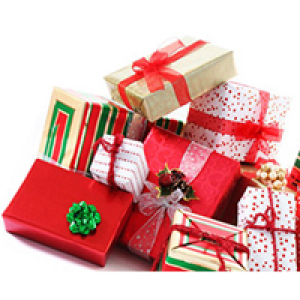 Make gifts thoughtfully and get positive emotions!